After this year’s North Carolina General Assembly sessions, what can one say about principal pay? Somehow we have a legislature that thinks administrators in North Carolina should be somehow grateful that they’ve alotted an additional $35.4 million dollars to principal and assistant principal pay increases, and that increases to $40.6 million in the 2018-19 school year, but took away longevity pay and established a pay system tied directly to test score performance. As has always been with our North Carolina Legislature since republicans have assumed control, let’s say the truth is really in the details. First of all, the North Carolina Legislature ditched any connection between pay and experience in their new pay scale. Maybe this was because some economist out there has determined there’s no connection between experience and the raising of test scores, so experience is seen as meaningless. 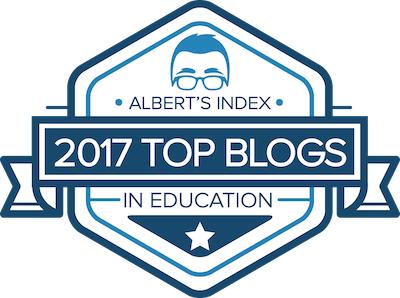 (Never mind that test score performance is not the entire end of education.) I think it is perhaps more truthful that we have a legislature really does not want principals to stick around anyway. Experienced principals are more expensive. 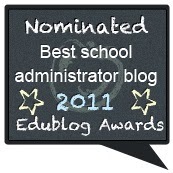 They want newer, cheaper administrators anyway. We now have a principal pay system in North Carolina perfectly designed to encourage new and young principals to move in but quickly leave because the system does not value experience at all. In fact, the new principal pay system completely dissolves a long-time practice of giving experienced longevity pay to experienced principals too. Now, the budget language says this longevity pay was absorbed into the pay schedule, but that makes no sense. The fact is, our legislature took away longevity pay to create their new merit pay system. Ultimately, with the actions of our North Carolina Legislature in recent years, our state is becoming the kind of state where educators are much better off looking for jobs elsewhere, and now principals are no exception. Secondly, the new principal pay scale employs a merit pay system with substantial bonuses tied to test score performance. In spite of many studies and research pointing out the fallacies and failures of such pay schemes, our legislature still assumes that principals are motivated by greed, and that test score performance is the end of all things in public education. By dangling a few thousand dollars in front of principals this legislature believes that somehow principals will figure out how to increase student growth with less textbook money than ever and less resources than ever. Our state government has been cutting public education for years, and now, our legislature with its merit pay scale wants to use money as a hammer to beat principals into getting more out of teachers in this state with less resources than ever. We don't even have enough money to purchase textbooks and supplies any more, never mind professional development funding. Finally, let’s stop kidding ourselves: our republican-controlled legislature just does not value education. Phil Berger and the republican elites in our legislature want to appear from year to year that they are increasing education funding, and by the numbers they are, but they are increasing it to strategically to harm public education and not support it. The principal pay scale is a perfect example. 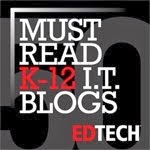 It is not designed to encourage educators to take principal positions and remain in them as careers. It only wants principals to stay around until their pay is too high. Like almost everything else this legislature supports, it is short-term and short-sighted, with the ultimate goal of harming public education in the end. In North Carolina, despite the boasting of many republican legislators, we have a state government controlled by those who still want to end public education. Why do we in education deceive ourselves from year to year. They might be actively trying to appear to support it, but their tactics have gotten more devious than ever. They strategically fund programs and initiatives that actually undermine public education. That’s why the political activism of educators is all the more important in the coming elections. ADDITIONAL NOTE: One aspect of this new principal pay scheme adopted by out North Carolina legislature that I forgot in my original post is this: It also ends pay for advanced and doctoral degrees for principals. As usual, this legislature continues to ignore the value of further education for educators. Now, any principal in North Carolina can no longer expect extra pay for obtaining an EdS degree or EdD degree. In the history of North Carolina I don't think we've ever seen a governmental body so anti-education from the public school level through the university level. Perhaps they still think if we keep the public ignorant, then they will continue to buy their baloney. It's time for a major change in North Carolina. I've heard ed reformers and educators pushing change and innovation use this quote many times, and attributing to Albert Einstein. I honestly have to admit I might have done so myself. The truth is, there's no solid evidence he ever said it. It's not in any of his writings or interviews. It may be just made up. 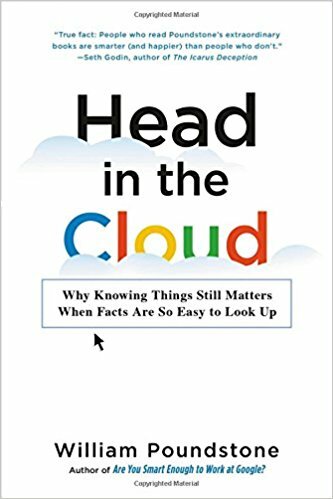 In his book, Head in the Cloud: Why Knowing Things Still Matters When Facts Are So Easy to Look Up, William Poundstone calls this "Churchillian Drift." That's when a quotation by the marginally famous gets attributed to someone famous, like Winston Churchill. Turns out, Einstein probably didn't say it. Just Google the quote and you'll see the dispute. The truth, at least for me, is clear: even if we really believe in what we're peddling, we still need to get our quotes right. "It may sound good at the time, he who gets one or two of his quotes wrong, or facts, can't be trusted to be speaking all the truth." You can quote on that, at least until someone else says it better! 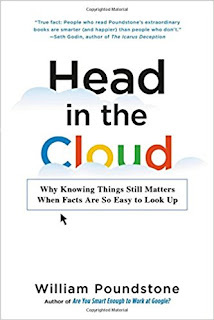 By the way, Poundstone's book, Head in the Cloud: Why Knowing Things Still Matters When Facts Are So Easy to Look Up is a fascinating read. Highly recommend it. Probably even will convince you to stop using those quote sites for quick quotes to add to your presentations. Did I Really Need That Amazon Echo Dot? I received an email telling me that Amazon was offering its Prime Members its Echo Dot for less than $35. I had seen the commercials, and certainly was fascinated with the device, so I broke down and purchased it. Connects to a bluetooth speaker, so my Bose Soundlink Mini sounds fantastic. Instant, or darn near instant access to any music. Has a “News Flash” feature that allows “Alexa” to read the news update to you. With my Amazon Fire I can get weather updates too. I can listen to Pandora channels with an easy request from “Alexa." Haven’t tried the “Jeopardy” game but is was recommended by a friend. I’m just learning the device, but I can see what Apple is scrambling to catch up with Amazon and Google with these kinds of devices. How else can I get the ability to command James Taylor's music to appear?